Thanks to everyone who entered the Sticky9 give-away, the winner of the magnet wall frame is Alex (Freebird). And the winners of the two sets of nine magnets are Sabrina M and Laia Torrente, congratulations! Please send me a mail so that we can supply you with your code to claim your prizes. 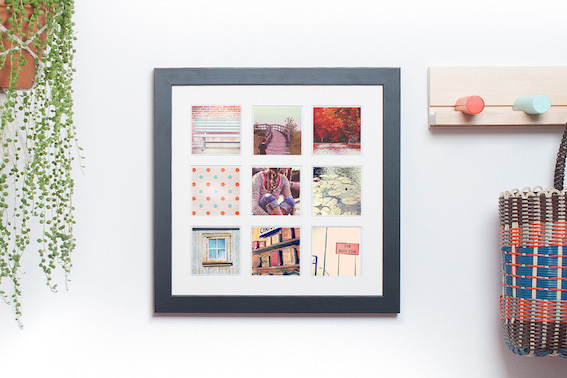 Thanks to my new found love of Instagram, I've teamed up with Sticky9 to offer you the chance to win a magnet wall frame handcrafted in London containing nine of your favourite pictures, or one of three runners up prizes of nine magnets. It's super quick and easy to enter, find out how below. 1. Leave your name in the comment section below. 2. Let us know which Instagram picture you'd like to turn into a magnet by using the hashtag #Sticky9MSH beneath it on Instagram (see the photo I'd turn into a magnet here). And that's it! The competition is open to everyone until Sunday, 29th March 2015, Midnight GMT. The winner will be announced on this post on Monday 30th March 2015 so make sure you pop by to see if it's you! This post is sponsored by Stick9. I would like to turn this (https://instagram.com/p/sDVXUrQyQg/?taken-by=meryemmekinci) photo of mine into a magnet. A great giveaway!!! Thank you. What an awesome idea! Love the frame and magnets! My name is Alex, instagram alex7w3. This is my photo. Thanks!